As soon as you arrive into Innsbruck, you’re bound to have a view of the massively gorgeous Nordkette Mountain that towers over the city below. 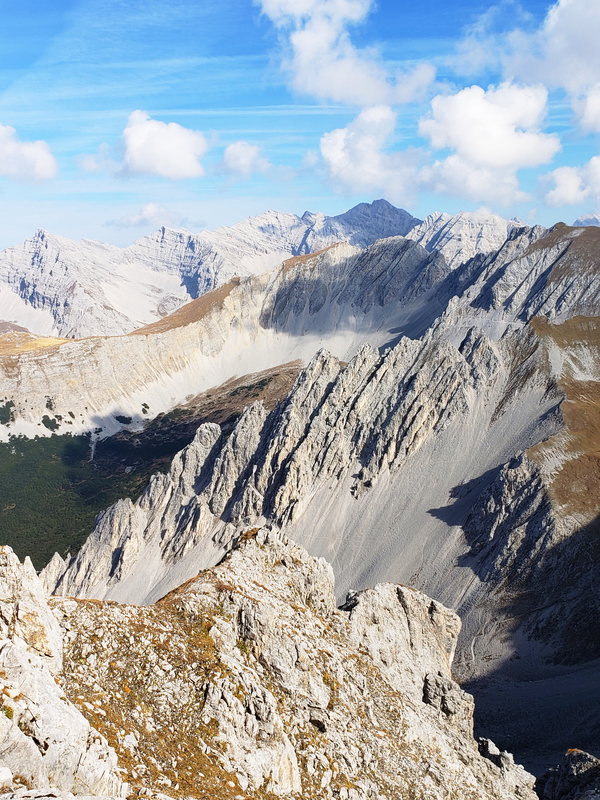 The Nordkette is considered “The Jewel of The Alps” and for good reason; it’s breathtaking. 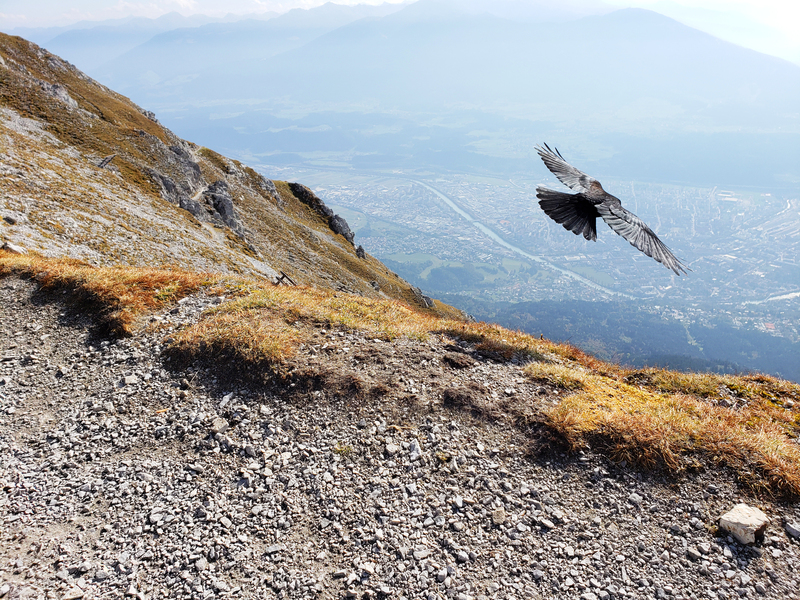 It’s the southernmost mountain, which boasts panoramic views of Innsbruck and the Karwendel area, which is the largest natural landscapes within central Europe, a trip to Innsbruck would not be complete without heading to the top via cable car. 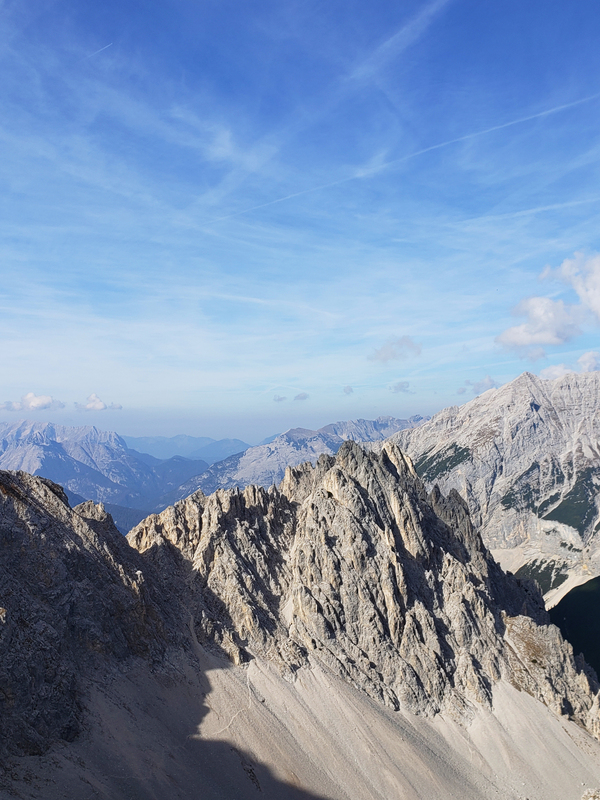 If you’re visiting Innsbruck, do not miss out on visiting the “Top of Innsbruck” for outstanding mountain views, fresh mountain air and that on top of the world feeling you’ll get as you reach the Karspitze summit. Here is a step by step guide to help you navigate the Nordkettenbahnen. The prices vary depending on your age and there are some discounts for seniors, students and children. 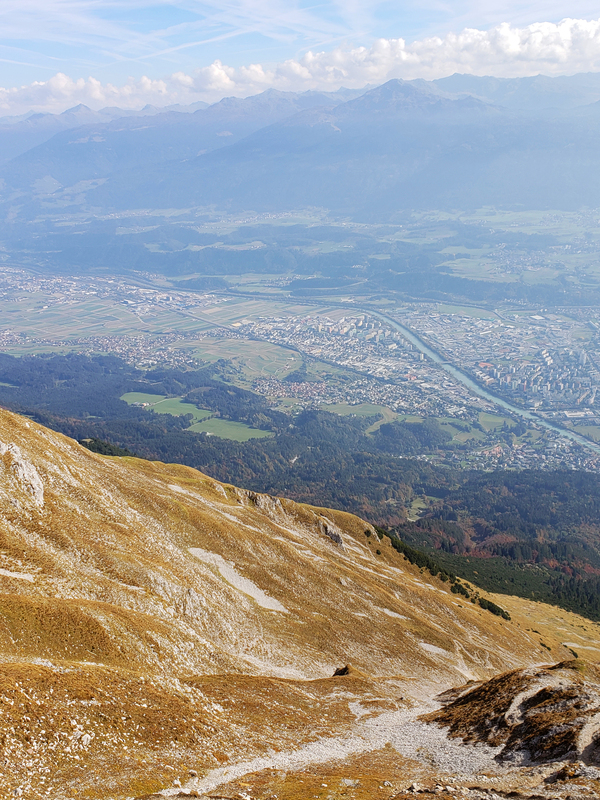 The round trip to the Top of Innsbruck for an adult costs €36,50. 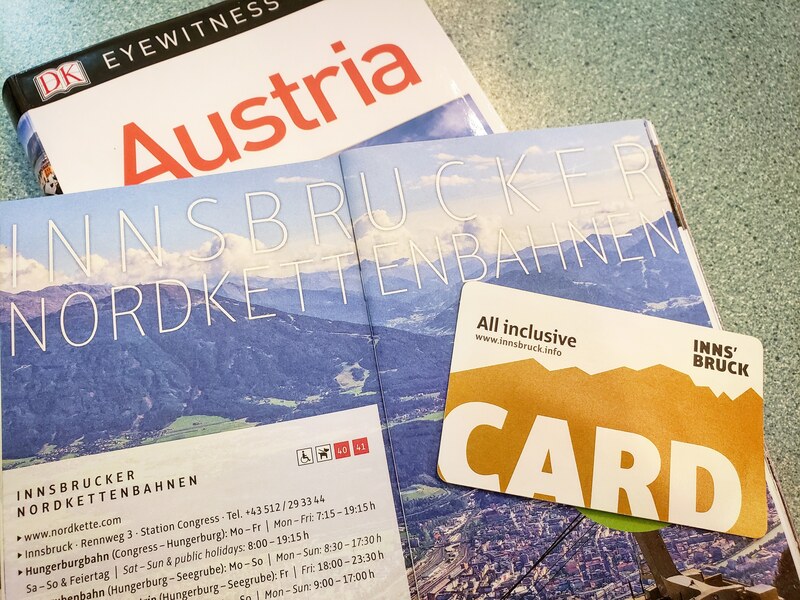 You can also ride for free if you have the Innsbruck Card, which you can purchase at the counter when buying your ticket. 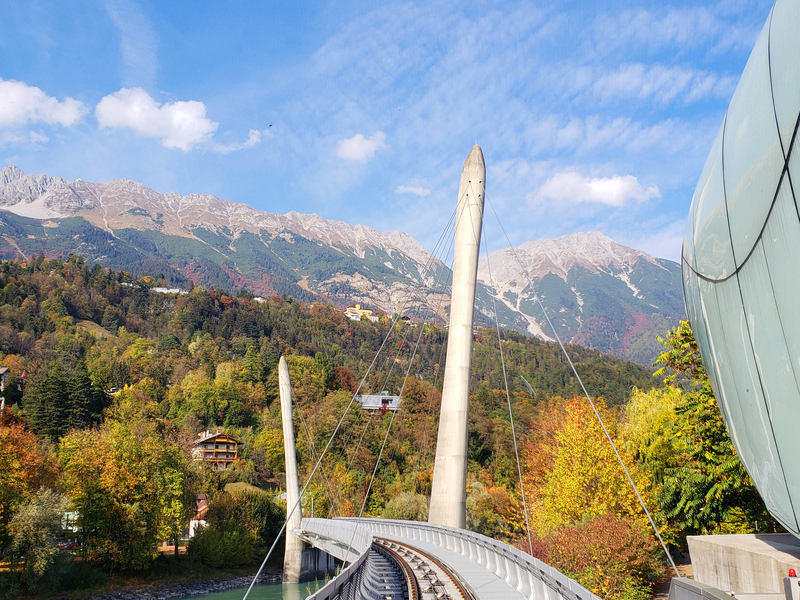 The Innsbruck card costs roughly €43,00 up front, but if you use it throughout the day at other attractions, the cable car ride pays for itself. For all other pricing, visit the Nordkette ticketshop page. Starting from the city centre, you’ll want to head to the Hungerburg funicular near the Congress Centre, which is located on Rennweg. 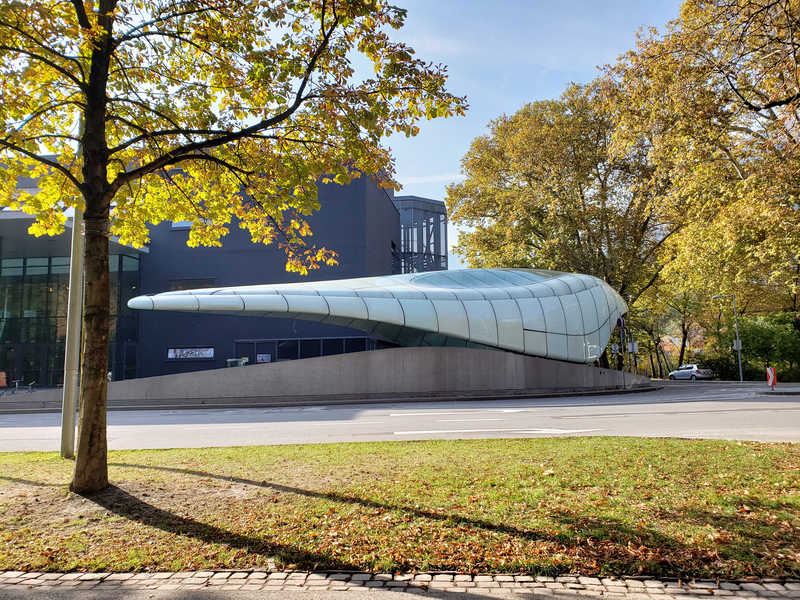 The futuristic station was designed by the late architect Zaha Hadid and is beautiful and sleek in design and is quite hard to miss while walking down Rennweg. 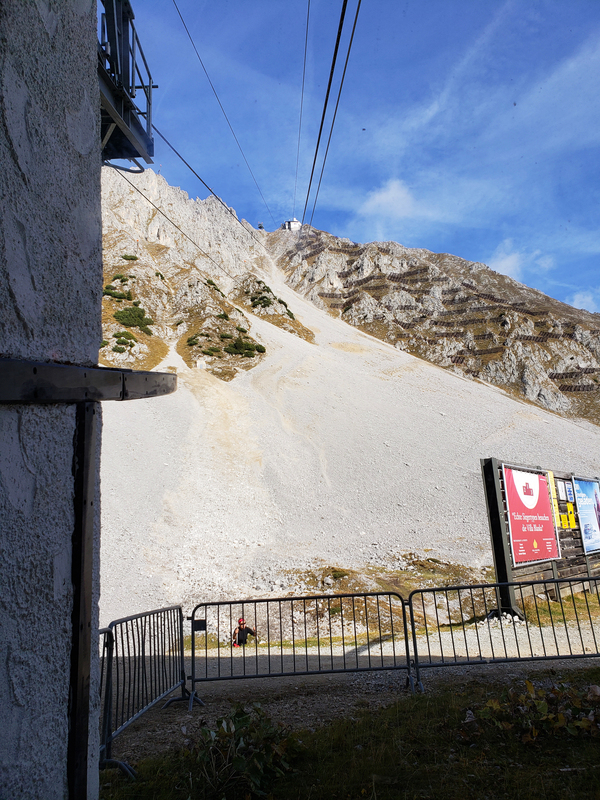 The manned station only accepts credit or debit cards, and for the price you pay for the ride (it is pricey), you’ll get a far better bang for your buck if you just buy the Innsbruck Card. You can also buy your tickets online and in advance on the Nordkette ticketshop. The first stage of your journey will be from the Congress Station located on Rennweg. As I mentioned before, you won’t be able to miss the sleek modern designed station, which is just down the street from the Hofburg Palace. 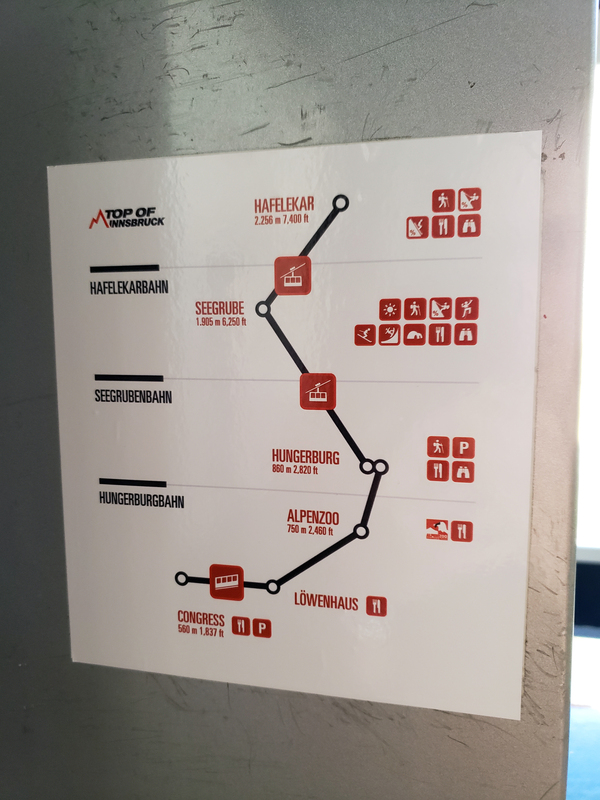 The Hungerburg funicular (Hungerburgbahn) will make two station stops along the first stage; one to Löwenhaus station and the other to the Alpenzoo, which is Europe’s highest zoo. If you so choose to disembark and visit the zoo, you can, but you can stay on board the funicular and make your way up to the next stage. The Hungerburg funicular leaves every 15 minutes, so wait times aren’t long at all. For dates and schedules, you can visit the Nordkette Schedule page. Once you reach the Hungerburg Station (860m), you’ll need to disembark from the funicular and make your way to the next leg of the journey, which is taking the Seegrubenbahn (Seegrube cable car). The Seegrube cable car is located in another building, so just follow the signs and you’ll see your next station. If you’d like, you can mosey around at the Hungerburg stop and enjoy the views and the lounge chairs scattered in the area. 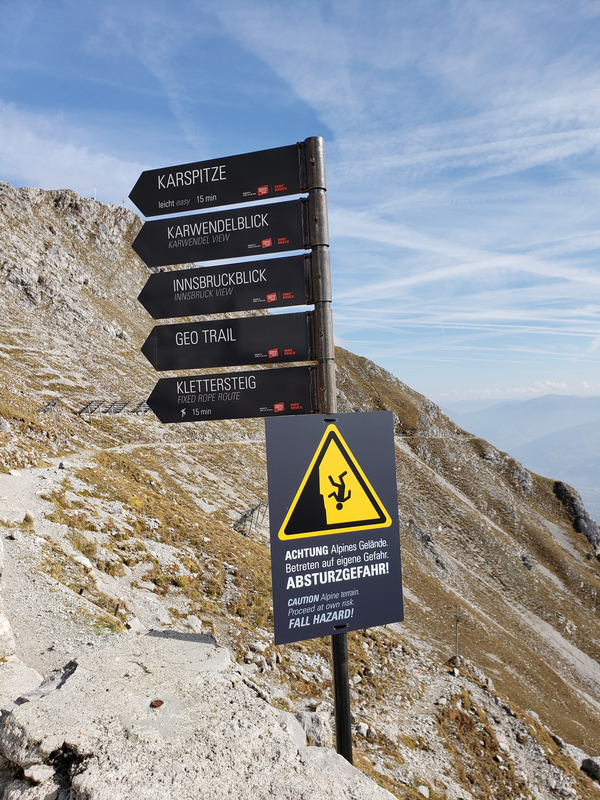 To continue to Seegrube (1,905m) just make your way to the next cable car following the many directional signs. For dates and schedule times for the Seegrubenbahn, you can visit the Nordkette Schedule page. 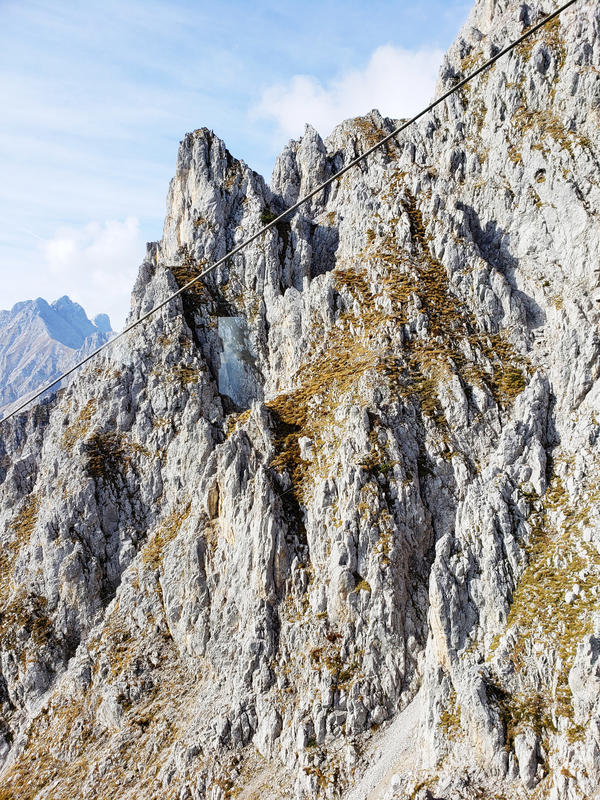 You’ll reach the next stage quickly (depending on how busy the cable cars are, of course) and seamlessly. 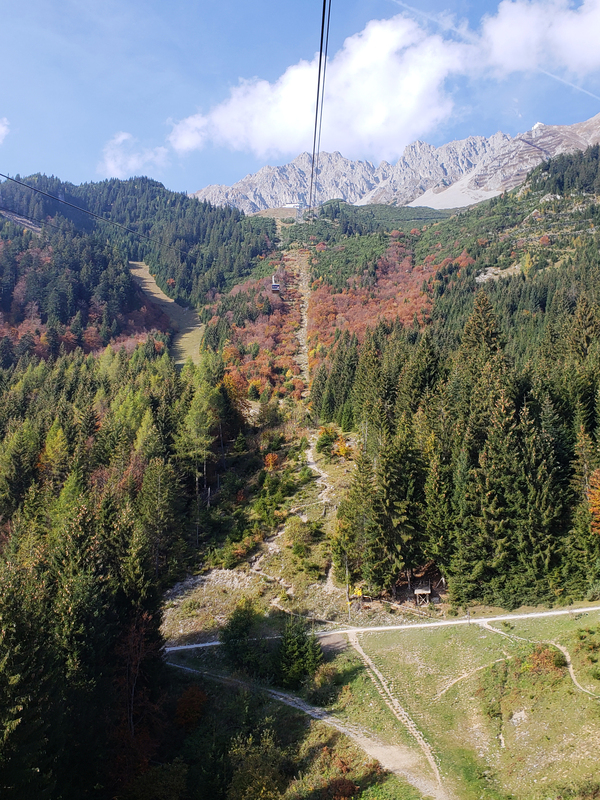 Once you get to Seegrube, you have two options: grab a bite to eat and drink at the restaurant, or continue making your way up to the Hafelekar station; your final destination. 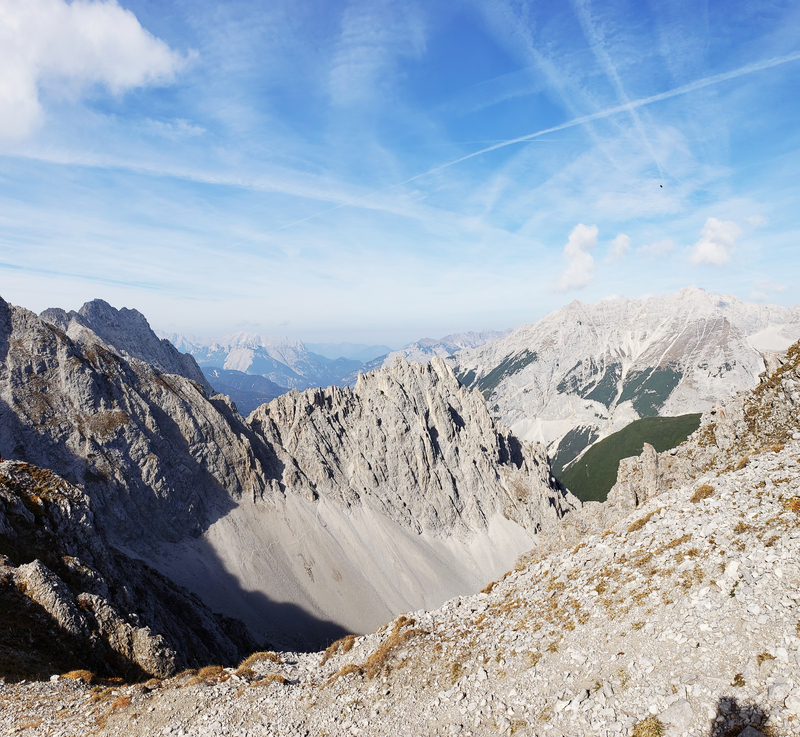 There are a few short hikes around the Seegrube area as well, so if you fancy a little walk about while you’re there, go right on ahead. 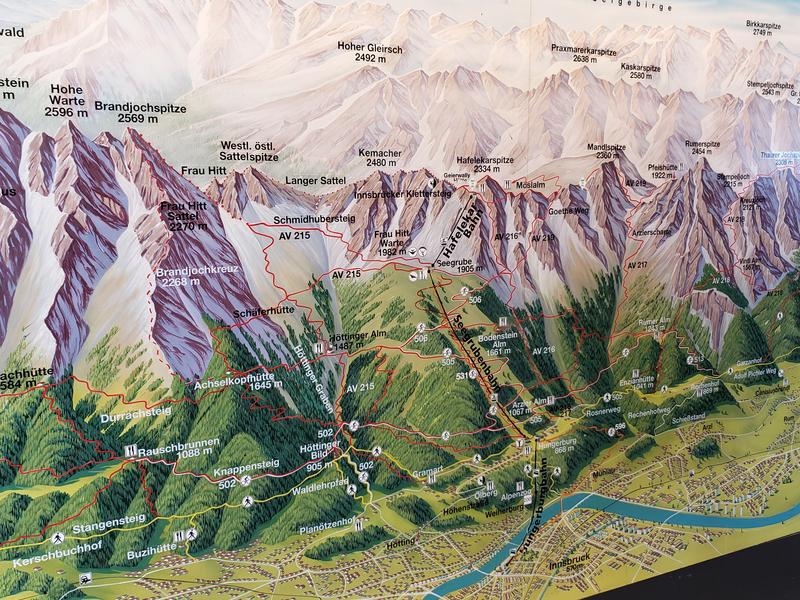 To continue to Hafelekar (2,256m), just make your way to the next building to the right of the Seegrube station. 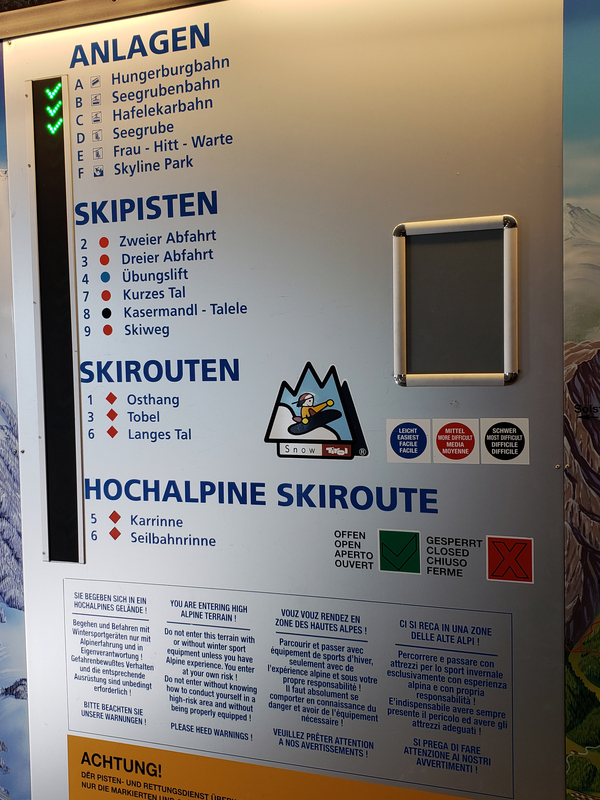 For dates and schedule times for the Hafelekarbahn, you can visit the Nordkette Schedule page. You made it! You’re at your final destination of Hafelekar station on top of the Nordkette! If the weather is on your side, you’ll be greeted by the most beautiful views of Innsbruck below and the glorious River Inns that snakes throughout the city and glistens a bright turquoise colour. 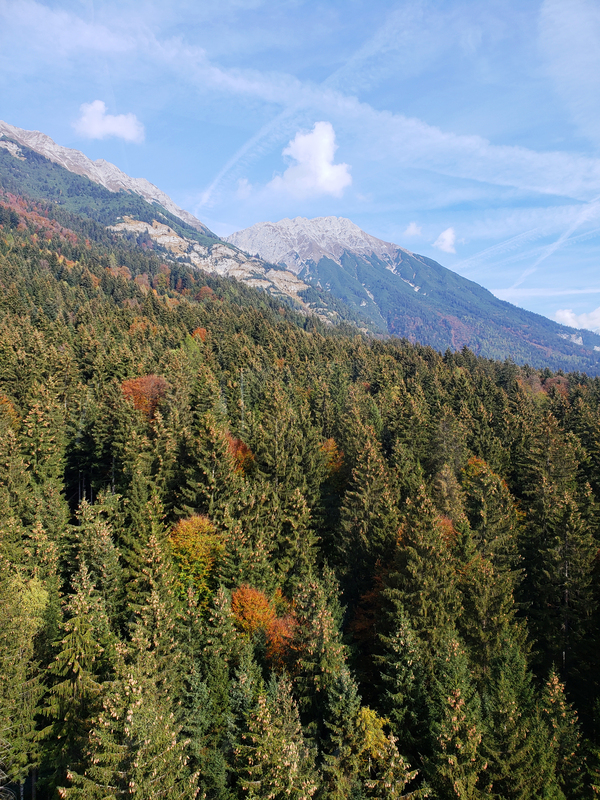 Sit down, relax and enjoy the views with a snack and watch the black birds swoop around you, or walk around the area and stand in complete awe of the Karwendel nature area and the many visible peaks surrounding you at every each direction. 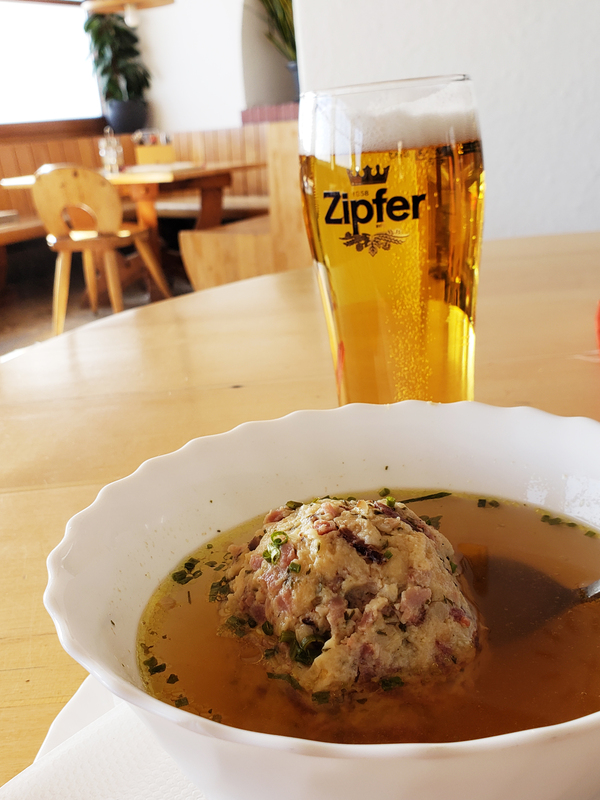 There is a mountain hut that serves great traditional Tyrolean food, so make sure to stop in for a cold beer and some nice warm dumpling soup. Yum! You took a funicular and two cable cars to the top, so now it’s your turn to let your feet do some work! 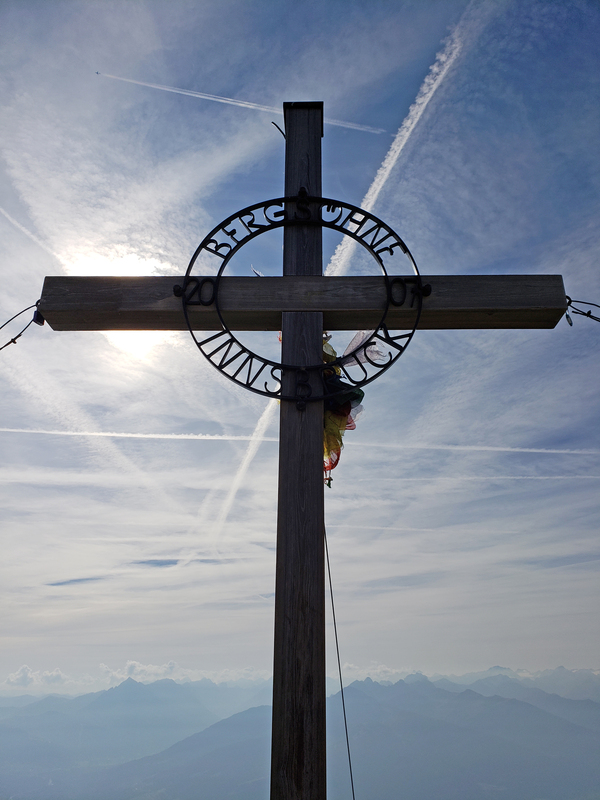 Take an extra fifteen minute hike to the summit cross, Karspitze, which is approximately 78m from the Hafelekar station, so you can brag to everyone back home that you reached the “Top of Innsbruck.” When you reach the cross, you’d have made it all the way up to 2,334m high in the sky! Woo!! Apart from the incredible 360° unobstructed views, you’ll also be able to see all the way to Italy in the south and Germany to the north. Neat! 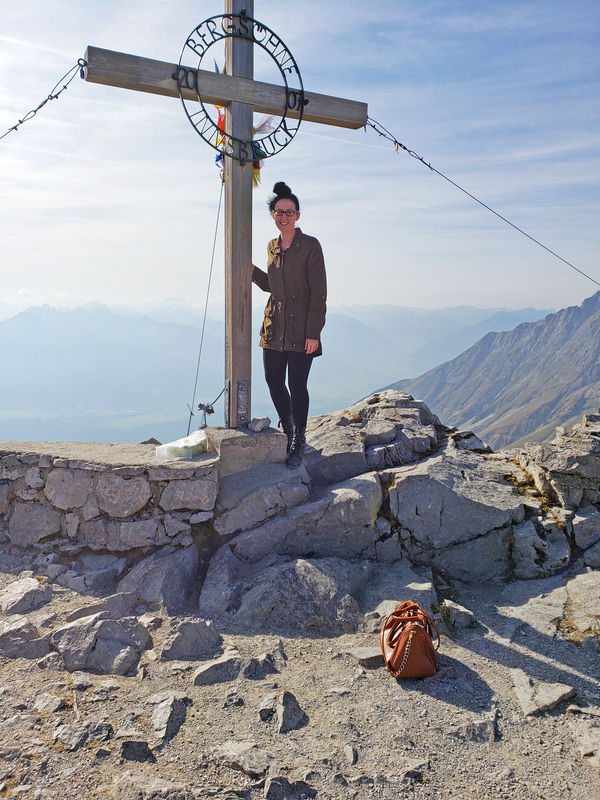 Heading up to the top of the Nordkette was an absolute must for me while visiting Innsbruck and you’ll regret not going up if you don’t. 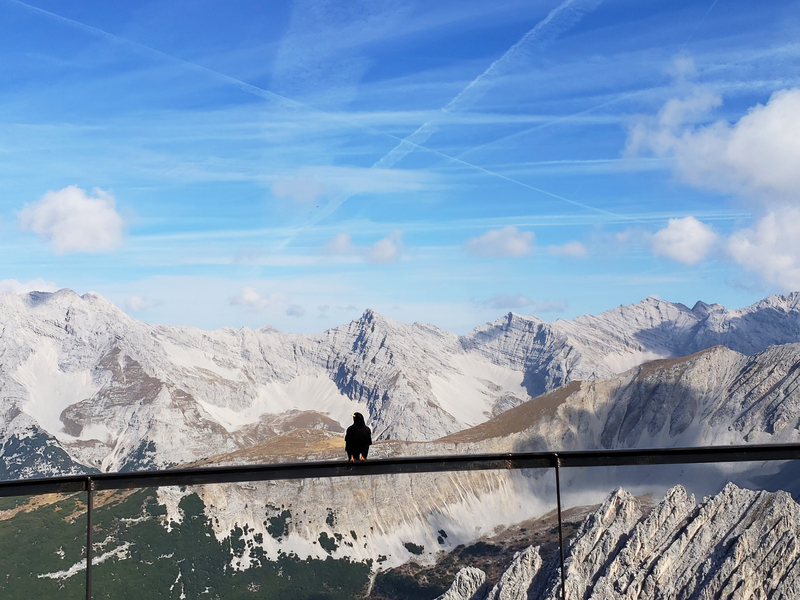 The views are spectacular, the air is clean and although it is expensive, I highly suggest splurging on this experience if you were to do only one thing while in Innsbruck. The Nordkette isn’t only for hiking though. 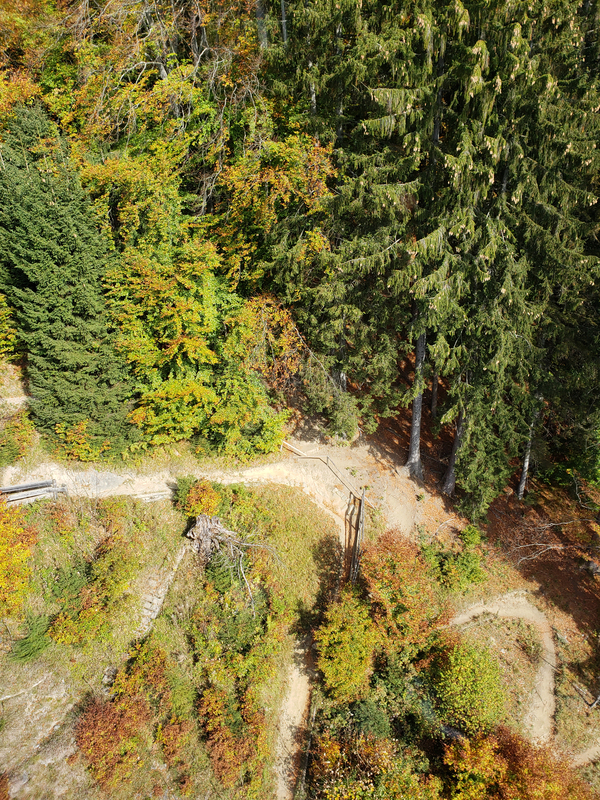 There are tons of mountain biking trails for the adrenaline junkies, and in the winter, the Nordkette turns into a snowboarder and skiers paradise. Also in the winter months (from December to April), the Nordkette is home to the highest club in the Alps. The Cloud 9 Igloo Bar sits at high up at 1,905m and is a great place to relax and chill out, no pun intended ;). The igloo is located right next to the Seegrube Station and is open daily from 9am – 4pm, regardless of the weather forecast.